Some cats are well-seasoned travellers, some have even seen more of the world than many people! Some, however, rarely (if ever) leave their homes, so the mere sight of the kennel being pulled out of the basement is enough to send them running for the hills. Most cats do NOT like change so anything ‘new’ to them, or their environment can be highly unsettling. If your cat is the latter, or if you’re looking for ways to help make travelling less stressful for Fluffy, then keep on reading. Accustom Fluffy to the kennel at an early age. Travelling, whether it only be to the veterinary clinic once yearly or to accompany his human snowbirds down south every year, will be a lot less stressful (and safer) for everyone if Fluffy is comfortable in the kennel. The earlier you introduce it, the easier it will be. Most cats do best in an enclosed kennel (as opposed to wire kennels). Wire kennels can leave Fluffy feeling vulnerable to predators (no place to run and hide). You can also cover a wire kennel with a blanket to give that ‘secure’ feeling. Make sure the kennel is large enough to accommodate a full grown cat. Cramming a 12-pound cat into a small kennel designed for a kitten will be too stressful and uncomfortable for Fluffy. Be sure he has room to stand up, turn around and lie down comfortably. Training Fluffy to accept the kennel is as simple as leaving the kennel out in a common area of the home, with the door open to allow him to become familiar with it. Do not close the door right away. Put some food/treats/toys in the kennel and allow Fluffy to explore it in his own time (yes, this could take weeks). Putting a nice comfy blanket in there may even encourage him to snuggle in! Once you see that Fluffy is comfortable in the kennel, you can begin to close the door with him inside. Start with just a few seconds and over time, increase the time that the door is closed. Feed him some tasty treats through the kennel openings and give lots of praise. The trick is to open the door and let him out before his anxiety starts to rise, repetition is key. If you find at any point that he appears stressed, then it means you’re moving the process along too fast – go back to the previous step and stay at that level for a bit longer, before trying to advance further. Once Fluffy is clearly very comfortable in an enclosed kennel, you can begin to get him used to be moved around while inside. Pick the kennel up, then put it down immediately and open the door to let him out. Once you see that he’s okay with this, you can start to take a few steps while carrying the kennel, I hope you can all see where I’m going with this. The key is to go slow, do not push Fluffy to accept/do anything he’s not ready for. Cats are notorious for doing everything when they want to, not when they’re forced to. Some cats may breeze through the kennel introduction fast; some may not. Every cat is different. Some people take the mindset of just throwing him into the kennel and thinking that he’ll get used to it. This is the worst thing you can do. A negative experience with the kennel will mean a lifetime of resentment towards it. He will not “get used to it,” if forced to. It’s critical that you make the kennel experience a very positive one. Once Fluffy is comfortable in the kennel, and you begin to move him around and take him out in the car, start with just having him in the kennel inside the vehicle with the engine running, so he can get used to the sounds. In time, you will graduate to driving around the block and then driving even further. If your cat does not suffer from motion sickness, you can try offering him a few treats while in the car, along with lots of praise. Once you get him back home reward him. Once he’s okay with being in a moving car, you can start taking him to the veterinarian (since, for most, this will be the reason for travelling). Have the clinic staff weigh him and give him treats (no medical visits yet). Many cats associate the kennel with the veterinarian and in their minds “bad things happen there,” which is another reason why their anxiety rises the moment they see the kennel. So, making a happy trip just for treats is a good idea. Eventually, you will find that Fluffy is very comfortable leaving the house in the kennel and even going to the veterinarian, where the sights, sounds and smells will stimulate him. You want him to learn that travelling doesn’t always end unpleasantly (vaccines, diagnostic work etc.). It’s also a good idea if Fluffy can be trained to wear a harness and leash for travelling, even if he’ll be in a kennel. In the event of the door not latching properly, or him dashing out the moment it’s opened, a leash will make it easier to grab him. If your trip is a short one (under six hours), Fluffy should be fine staying in the kennel. If, however, the trip will be longer you should give him breaks to use a litter box, stretch his legs and have some water. For obvious reasons, leaving a bowl of water in the kennel with him while the car is moving is not a good idea. It’s never a good idea to allow Fluffy to wander around the car when it’s moving (risk of driver distraction and potential car accident). For longer trips, when you allow him out of the kennel (in a parked car only) to stretch his legs, again, be sure he’s wearing a harness and has ID tags on, in case he does manage to escape. For winter travelling, you should add extra blankets to the kennel for added warmth and for summer trips, ice packs tucked under a blanket in one end of the kennel will offer Fluffy a reprieve from the heat. It is still never safe to leave any animal in a car during the warm months. You should always carry your pet’s medical records with you when travelling, including vaccine records and health certificate. You can never anticipate when you will be asked to show them when crossing borders etc. When booking hotels etc., be sure always to call ahead to ensure that cats are permitted in the rooms. There are various products out on the market now that are designed to help calm Fluffy. These products contain pheromones (same one’s mom gives off). They can be used around the home for those skittish kitties and even help bring harmony in a multi-cat household. These products are fantastic for travelling as well. They come in plug-in form (like a Glade scented plugin; these products are scentless though), special infused wipes and sprays. It’s as simple as wiping down the kennel beforehand, spraying a blanket to put in the kennel or even spraying a bandana for Fluffy to carry with him around his neck. 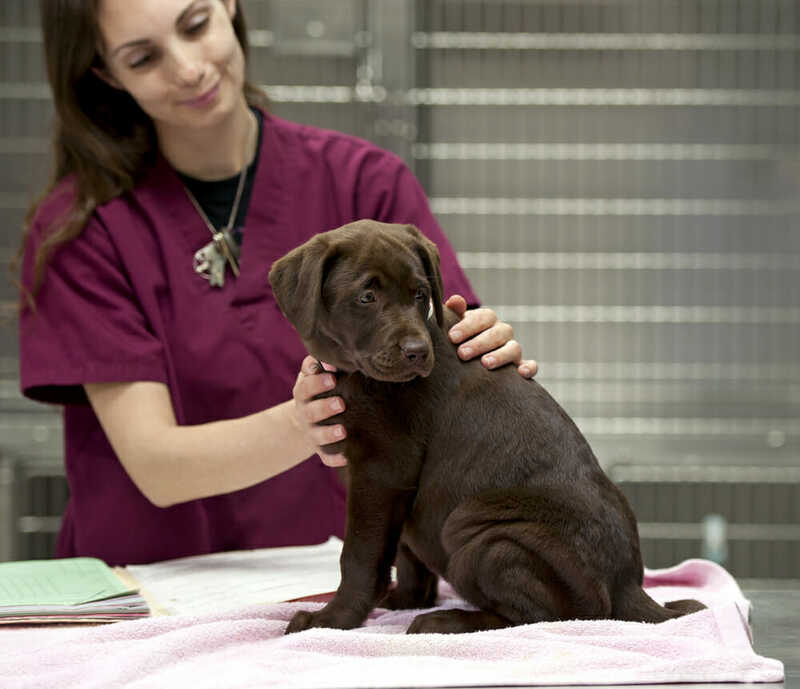 Many veterinary clinics (ours included!) utilize these products in their clinics as well as to help relieve anxiety. There are also many natural/holistic products on the market that can be used in the place of prescription medications (i.e., Anxitane, Zylkene) These can be used on a long-term basis or as needed and work amazingly well. Lastly, there are prescription anti-anxiety and sedatives that can be prescribed when all of the above fail. These should be used as a last resort.